The rising EBM act Akalotz was founded by Thorsten Haury in 2007 with a distinct purpose in mind: combine the old school electro sound of the 1980s with modern technology. Nico Klenner joined Akalotz on drums in 2013 before the band started touring extensively. 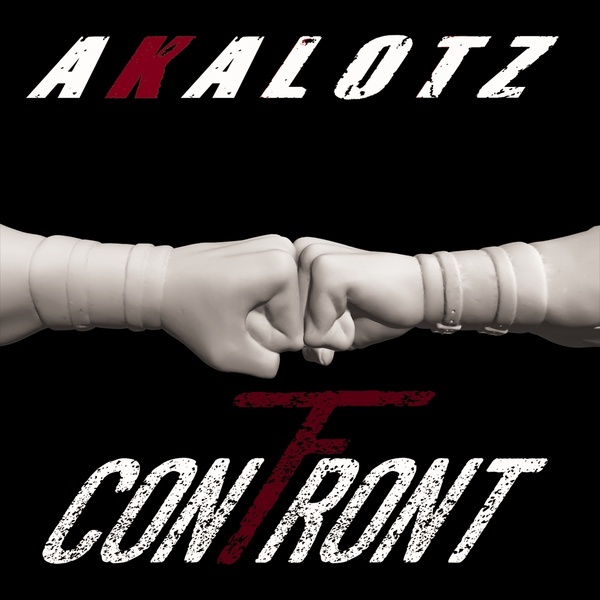 In 2014, Akalotz released their debut album "Shift to Evil" on Electro Arc and quickly built a loyal following. With razor sharp EBM beats, undeniable groove, and a personal charisma matching their on-stage persona, the Akalotzers have rapidly risen to the upper echelon of the EBM scene. Electro Aggression Records proudly presents the band's much-anticipated sophomore album "Confront", a relentless, high-octane EBM assault featuring remixes by old school electro-industrial icons à;GRUMH..., PNE, SERPENTS, Pyrroline and kFactor. You better get ready for the 76-min highly explosive EBM volcano!